Perfume Shrine has been mentioned in the Washington Times, the Financial Times, Lucky magazine, Allure magazine, Food &Wine magazine, the Huffington Post (Top Perfume Blogs) and won awards in many Best Blogs competitions. 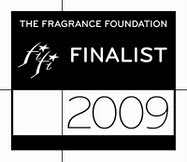 Two finalist positions in Fragrance Foundation Awards for Editorial Excellence confirm the quality of the writing. The author has been interviewed by VOGUE Hellas and Queen.gr lifestyle webzine on her unique position as a fragrance historian & perfume expert in Greece and consulted by several writers incorporating fragrance in their work, notably Tilar Mazzeo. Elena Vosnaki is also a senior contributor on Fragrantica.com, the largest perfume webzine internationally. Here is a selection of comments and awards. "Actually, perfume talk may be more complicated than wine-speak. Even the formidable wine critic Robert M. Parker, Jr., might be impressed by virtuoso perfume writer Elena Vosnaki (perfumeshrine.blogspot.com)." Perfume Shrine - It's perfume writing at its best by an academic, an aesthete and an artist. Elena Vosnaki has a talent for writing about perfume in such a fascinating and intelligent way with this intellectual and historical twist. If you've been given props by T Magazine's Chandler Burr, then you know you've made it in the world of fragrance writing. Lucky Elena Vosnaki. 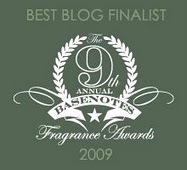 For a number of fascinating posts on the history and chemistry of iris fragrances, visit http://perfumeshrine.blogspot.com. "We really appreciate Elena’s hard work and invite our readers to visit the website and discover the fantastic world of scent. We hope also some of you, reading Elena’s research, will learn to love this job and why not, become perfume designer. Also we invite cool magazines to contact Elena, they need a realistic and specialized introduction, description or review about perfumes and scent world. We wish Elena our best regards and compliments for the nice and sophisticated work she does." Some fragrance blogs are the CNN of the perfume world, relaying information about the newest releases, commenting on industry events, prolifically posting reviews. Perfume Shrine is their literary counterpart, providing in depth insight into the ever-changing context of perfume throughout the past several decades. The Perfume Shrine, a remarkable blog by Elena Vosnaki. Packed with information and written with a passion for perfume. A must visit for anyone on a journey to learn more about Perfume. "Came across this interesting site called Perfume Shrine that has an extensive compilation of the favorite perfumes worn by famous film stars. Included is a list of "Old Hollywood" actors and actresses and the vintage scents they preferred, many of which are still available today.[... ]There’s much more, accompanied by many interesting facts. It’s also fun to Google the different fragrances to see if the ingredients seem to match the personalities. This site is also a great way to make a choice if you’re looking for a vintage fragrance and would like to smell like one of your favorite classic film stars!" For a truly superb article about the history of chypre perfumes, I highly recommend this article at the Perfume Shrine, which is one of the most extraordinarily well-researched and interesting blogs I’ve read in ages. "There are so many perfumes on the market that it can be downright overwhelming trying to pick one. Fortunately we’ve found Elena Vosnaki, a true fragrance guru and editor of Perfume Shrine, to dish her expertise on and provide her picks for flirty perfumes"
"Similarly, marijuana-inspired fragrances and candles, like Fresh Cannibis Santal and Demeter Cannabis Flower, may remind us of the times we were young and wild(ish). Notes historian and blogger Elena Vosnaki of perfumeshrine.com: "They nostalgize a more romantic and hopeful period of time—the Summer of Love and the hippie movement." "Perfume Shrine, (www.perfumeshrine.com), is a fabulous site hailing from Europe. For quite some time, one of the highlights of my day has been to visit Perfume Shrine for her wonderfully eclectic, in-depth and fascinating writing about fragrance. I ve so enjoyed reading Perfume Shrine s intriguing and lyrical fragrance reviews in addition to her thought-provoking commentary on art, culture and music." "Elena Vosnaki, the editor of the Perfume Shrine website goes further when she describes Tubereuse Criminelle by Serge Lutens: “Perfumes only rarely reproduce that other worldly effect, a hybrid of aberrant chill and aching beauty.” She says the sharp wintergreen/eucalyptus-mint aroma of Tubéreuse Criminelle (usually this is due to methyl salicylate) replicates the menthol blast that the flowers emit when freshly picked. The rubbery, bloodlike essence of tuberose comes with a nose-tingling green glow which balances the intoxicating effect. Vosnaki comes up with a gem: the intoxicating effect was accused of producing spontaneous orgasms and thus young maidens in the Victorian era were forbidden from smelling the trumpety little blossoms!" "Second stop on my mini tour was a vicarious trip to Grasse courtesy of Elena Vosnaki’s wonderful blog, Perfume Shrine. Elena writes lyrically, sensually, of the Route de Mimosa (The Mimosa Road), a 130km trip through 8 towns of the region — Le Rayol-Canadel, Sainte Maxime, Saint Raphaël, Mandelieu la Napoule, Tanneron, Pégomas, Grasse, Cannes"
"Perfume Shrine is a site I frequently turn too when researching scent trends. Run by Elena Vosnaki its mission is to “share the passion for scents, pose interesting questions and ignite a genuine appreciation for the art of perfumery!” Vosnaki is certainly knowledgeable about all things fragrance, with behind the scenes beauty business as well as informative articles about perfume history. But what I like best are the fragrance reviews — they wonderfully describe the aromas, inspiration and, well, shape of a scent"
Elena Vosnaki of Perfume Shrine has been one of the best writers about what specific phrases and ingredients in perfumery mean. 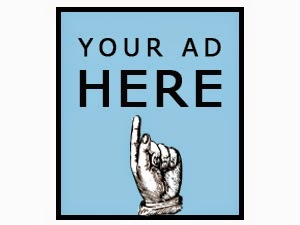 This week she added three new posts to the already impressive content on Perfume Shrine. In the latest articles she took on "Soapy Fragrances: More Than Just A Matter Of Clean", “Amber or Ambergris?" and “Defining Powdery and Dry in Fragrances”. 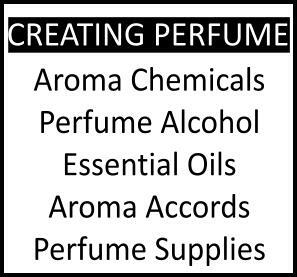 As always she defines by using examples and her articles are a valuable resource for any perfumista. "we take a look at the fragrant themes of the last ten years, we take a look back even further as Elena Vosnaki guides us through the history of leather fragrances and come bang up to date with our perfumer of tomorrow, Pia Long." "Elena Vosnaki is based in Europe, so she gets the information way ahead of anyone in the states. 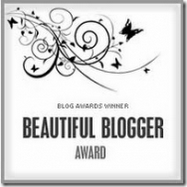 Her blog contains everything, from reviews of men’s and women’s fragrances to how to spot a fake. Elena is actually an archaeologist, whose love of fragrance created a second career as a perfume consultant and writer." "Desta vez o carinho e reconhecimento veio da Elena Vosnaki, proprietária, editora e escritora do magnifíco blog PerfumeShrine, além de uma expert em vários assuntos relacionados a perfumaria com um background de alto nivel em vários campos do saber e finalista do Fifi Awards 2009 na categoria excelência editorial. Elena é fenonemal. Para mim, uma das melhores escritoras nesta blogosfera perfumada e parceira nesta grande paixão que são os perfumes." "I believe that a critic reviews diligently, broadly, dispassionately, as professionally as possible, and with a good background in the field, both historically and from practical experience. Perfume writers I consider to be true critics would be Helg (Elena Vosnaki) at Perfume Shrine[...]"